Monaco boss Thierry Henry said coming up against former Arsenal team-mate Patrick Vieira as a coach felt "really weird". Henry and Vieira were part of Arsenal's 'Invincibles' side that went a full Premier League season unbeaten under Arsene Wenger in 2003-2004, while the pair also won the 1998 World Cup and EURO 2000 with France. The French duo reunited as coaches for the first time at Stade Louis II, where Monaco and Nice played out a 1-1 draw. Asked how it felt to come up against Vieira, Henry told reporters: "Weird, really weird. When I saw him coming out of the locker room, it felt weird. "We walked the steps together, we used to climb them together when we played. It was really good, a wink. But then there's the game and you do what you have to do. "He did what he had to do, but it felt weird. We talked, we said a few things to each other." 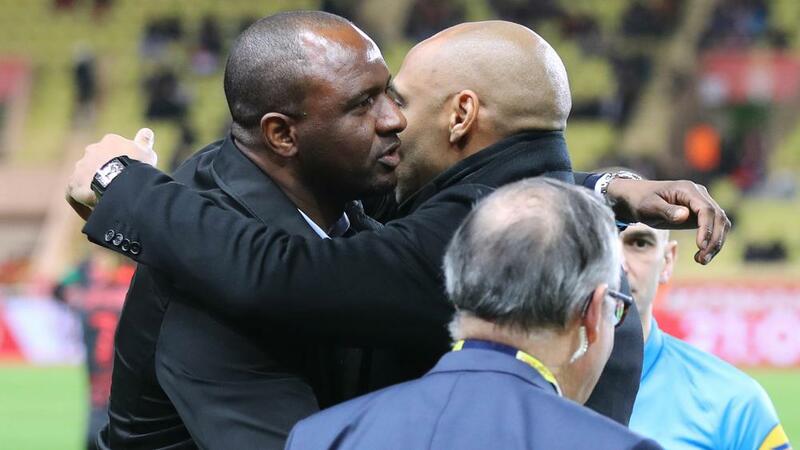 Henry and Vieira shared a long embrace before kick-off in Monaco but the latter played down the meeting, saying: "We both just wished each other luck, that's all." Monaco has failed to win any of its first 10 home games in a Ligue 1 season for the first time in the history of the club after the stalemate against 10-man Nice, who had Ihsan Sacko sent off. Benoit Badiashile Mukinayi headed in a 50th-minute equaliser to cancel out the opening goal scored by Nice's Allan Saint-Maximin. With 13 minutes to go, Saint-Maximin was denied by Monaco goalkeeper Diego Benaglio after a VAR review adjudged Youcef Atal to have been fouled in the box. "Monaco could have won at the end. In the first half, they had two chances where we put ourselves in danger by losing the ball. But Thierry can also be happy with the draw," Vieira said. "There is still pride in having held on with 10 against 11. The players showed lots of desire, they didn't want to lose, they doubled their efforts."